This chicken wing recipe takes an appetizer powerhouse and brings it to the center of the plate as a flavor-packed entrée. Combine the Hoisin sauce, 5 spice powder, gluten free soy sauce, sweetener, sesame oil, red pepper flakes, and coconut oil in a medium bowl. Add the chicken wing drumettes and toss to coat. Marinate in the refrigerator for at least one hour. 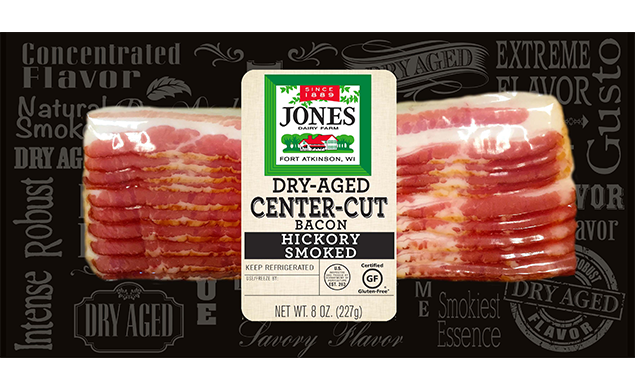 Open the package of bacon and cut the pieces in half. Wrap one half piece of bacon around each drumette and secure it with a toothpick through the fat end. 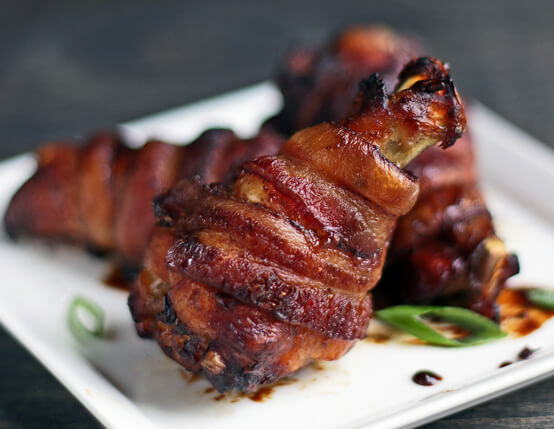 Add the bacon-wrapped wings back to the marinade and toss to coat. Marinate in the refrigerator for at least one more hour or overnight. To bake: Place the chicken about one inch apart in a single layer on a cookie sheet. Bake at 400° for 45 minutes. To fry: Heat oil to 375° and fry chicken in batches – careful not to overcrowd the pan. Fry for about 4 – 6 minutes depending on the size of the wings – or until the meat is no longer pink near the bone. Serve hot with additional sauce if desired.